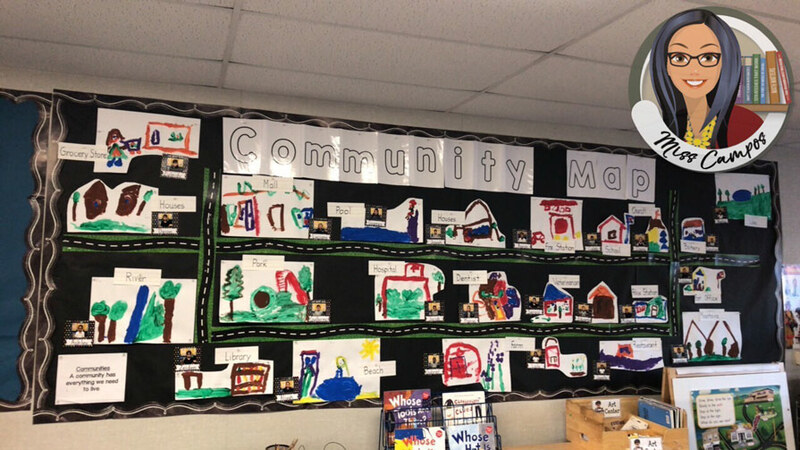 One of the Social Studies units I find fun, simple and engaging is learning about Communities. It can easily stretch into three weeks of activities. 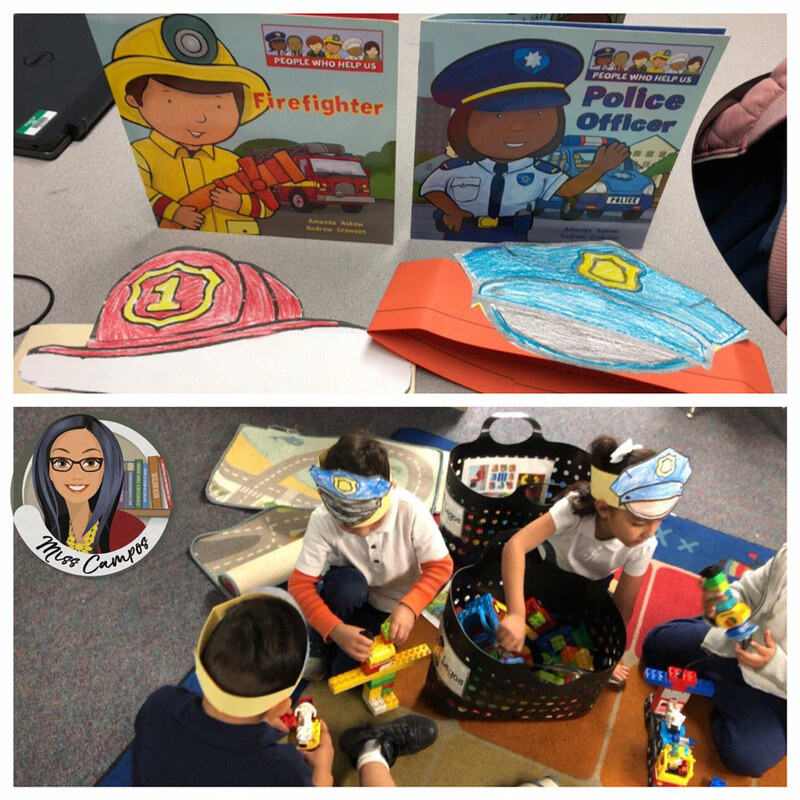 During the first week, I start by reading the class lots of books on places in the community such as libraries, police stations, fire stations etc. We make hats for each job associated with each building. I even pull out our old ELD song for communities from Rigby. The red car is on velcro and sticks to the different places in the community. So we fill in the sentence frames shown on the posters depending on where the car lands. Also, I pull out our Writing Web for the power word “go.” I teach the sight word “go” as a part of my writing unit in my TPT Store. 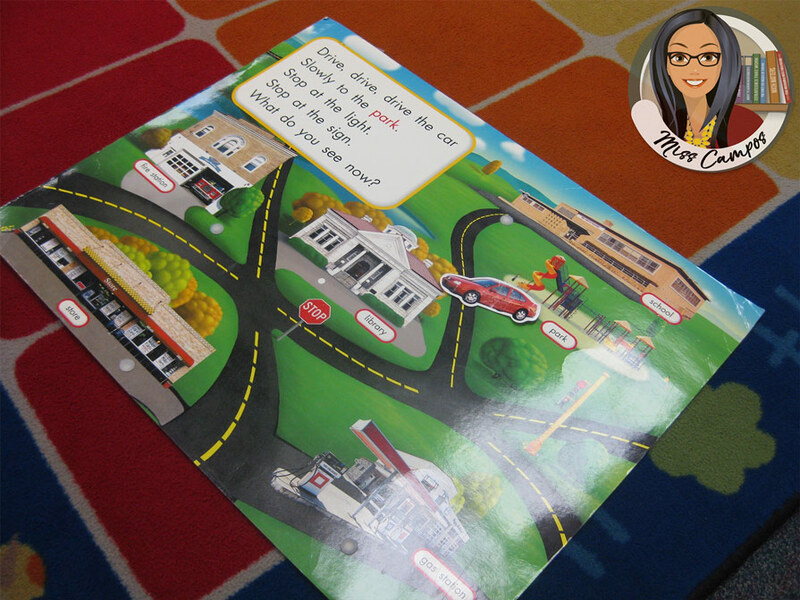 The sentence frame we use is, “ I like to go to the _____.” The word bank is places in the community. Later we add the sight word “and” so we can write about two places in the community. If you’re interested in that writing unit its called Rebus Writing using Sight Words. The word “go” is week 5 of that 8 week unit. 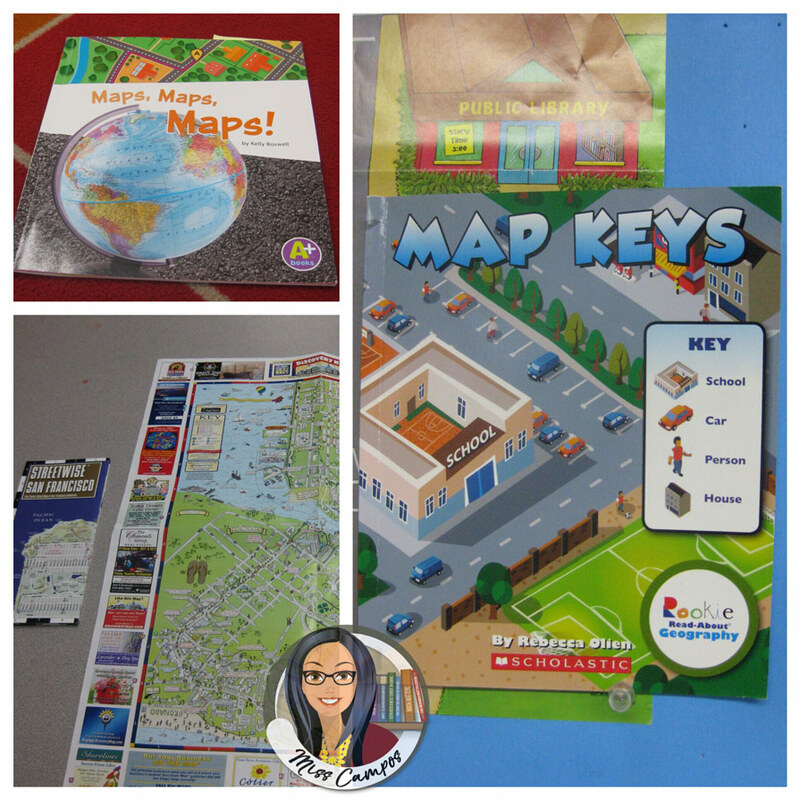 The second week of this unit, we read some books on maps that I got on Amazon as well investigate a collection of maps that I have accumulated over the years from visiting amusement parks and touring new cities. We sit in a circle and talk about what we noticed regarding the maps. I have a few kids share out about a time they might have needed to use a map with their family. We watch a video on maps and models from the United Streaming website run by Discovery Education. Our district purchased user licenses for all teachers to access their videos on our Promethean Boards. 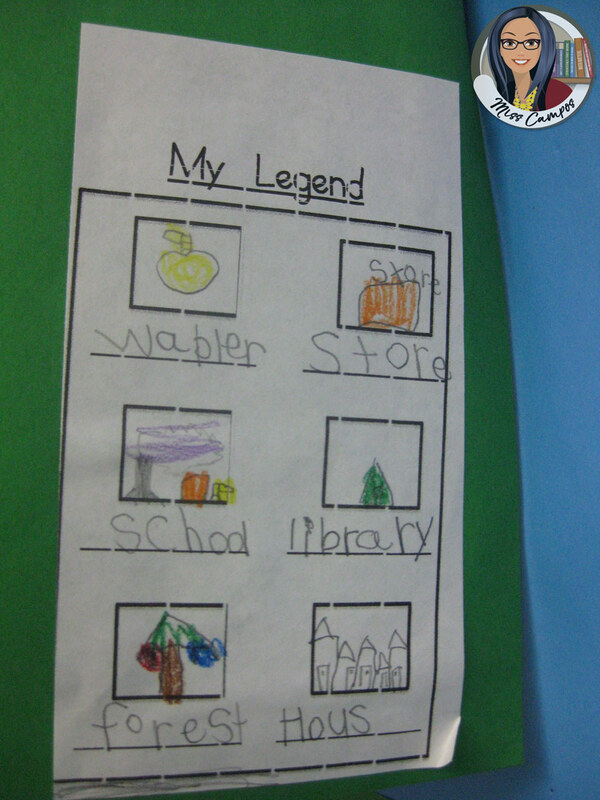 I allow each child to pick their favorite place in the community out of all the ones we’ve read about. 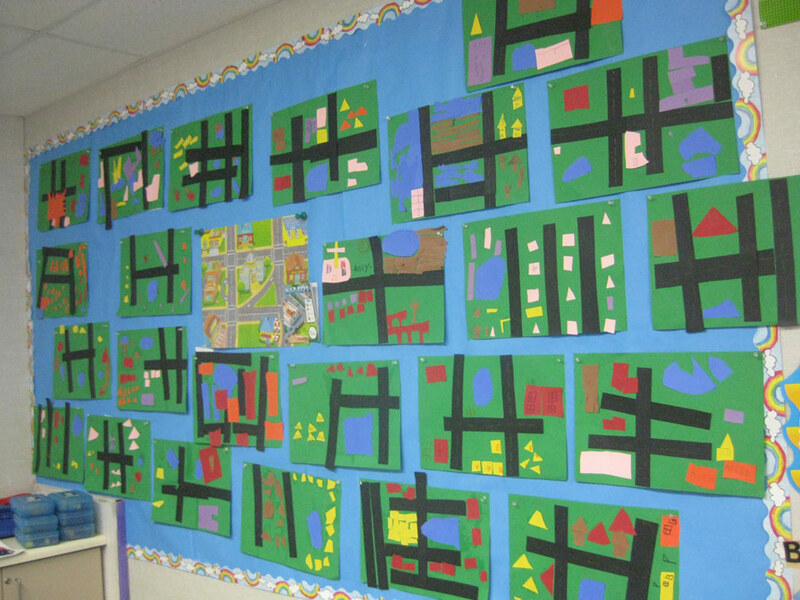 Then, they paint it and add it to our class themed wall where I use bulletin boarders that are decorated like streets. This creates a large map on the biggest wall in our classroom. That wall map gets labeled and then I ask the kids to pick their favorite six places and write down the names of the places on their map legend. They can use inventive spelling too! After I check their legends for completion, I bring out the colorful construction paper! At first, just black and yellow so they can make streets and glue them down. Then all colors of construction paper so they can cut and glue them into the six locations of the community that they chose to include in their legends. They get so excited. Each map comes out truly unique. 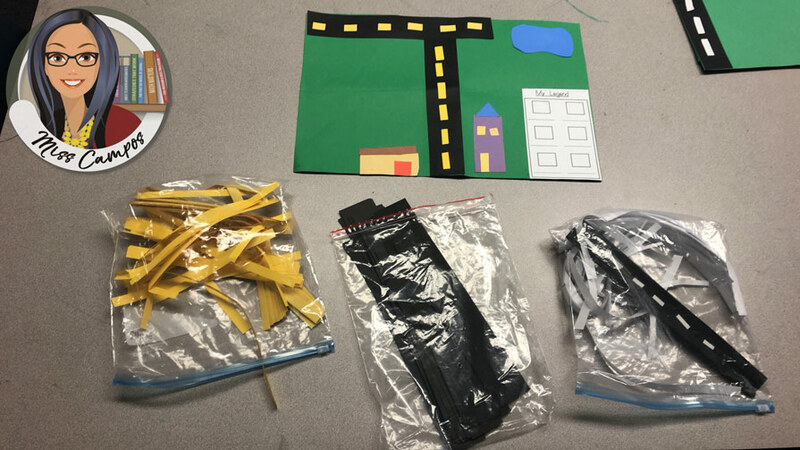 As the kids are finishing up, I have them lay out their creations on the class rug so the glue could dry and so kids who needed inspiration could come do a carousel walk around the rug and get ideas for how to create a lake, beach, mall, etc. One year, I had them glue the legends on the back of their maps. However, I learned the hard way not to do that because as soon as I mounted them all on a separate wall the legends were hidden. So now, I print the legend out, trim it, and pre-glue it to the front of each green construction paper before passing them out to the kids to build on. If you’d like the free blackline master for the legend click on the link. During the third week, I bring out some playful Community books from Amazon that I did not yet read during week one. 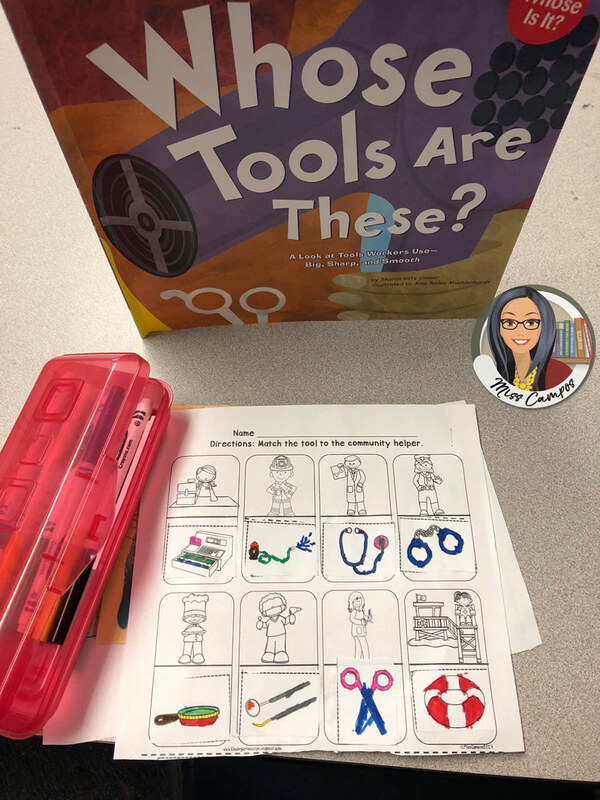 They are cute, fun books where the kids get to guess what article of clothing, tool, vehicle or helmet belongs to what community helper. 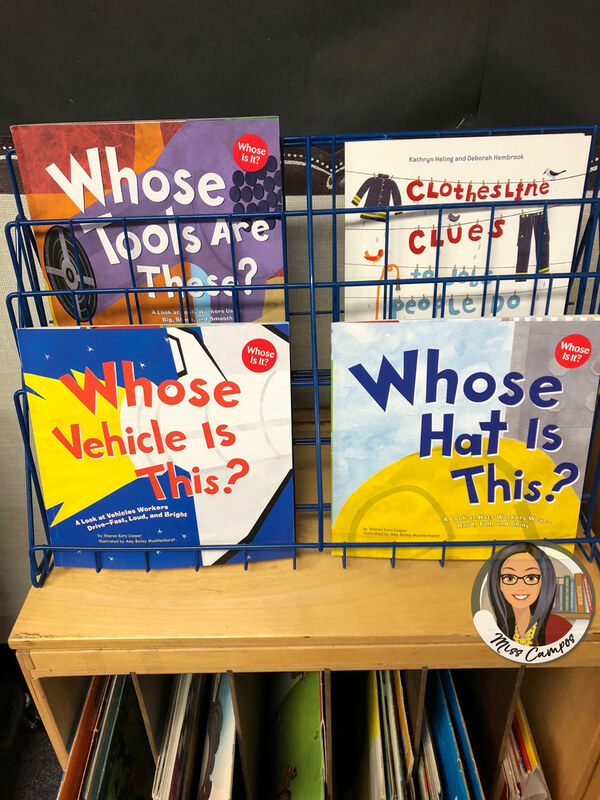 The kids loved calling out their guesses as I read each book. 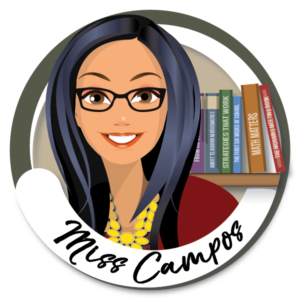 I created some companion worksheets to go with each book. If you would like to download them and use them with your class the link is below.